Ta-Nehisi Coates’ new book, Between the World and Me, is a powerfully devastating window into the experience of living in a black body in America, a body that is constantly vulnerable to assault, to capture, to torture, to destruction, to death. I am a white woman who has long been involved in the white anti-racist struggle–I say this, not with any attempt at boasting, but merely to point out the map that my reality has followed over the last more than thirty years of my life. But even so, Coates’ words painted a picture of soul-shattering fear that struck me to the core. I grew up with a general feeling of safety. I belonged to a working class family in Michigan, living in suburban Detroit for the most part, raised to believe that “all people are the children of God,” but also living in all-white communities where racial violence was something that appeared only on our television screen. A liberal white world aspiring to be “colorblind,” in the “Dream” that Coates describes as the place where white America lives as if asleep, unaware that it is built on the violence against black bodies. I was asleep like that, but in my young adulthood I began to wake up to the horrific realities that America was built upon–the theft of the land and destruction of Indigenous people, the slavery and destruction of Black people. The first window into those realities came through my own awakening to the violence that was perpetrated on female bodies. That violence was hidden under the mantle of (white) safety. I did not actually experience sexual violence in my own body, only the constant threat and fear of it. Don’t go out at night, don’t talk to strangers, don’t dress to draw attention to your body, and so on. But here was the irony–a woman could “feel” safe if she stayed “asleep.” It was only upon waking that the fear undergirding my life became visible. Once I woke up to that illusion, other illusions began to break through as well, and racism became visible and anti-racism became important to me. But so much remained hidden. Layer upon layer, I kept being surprised again and again at the horror of it, the extent of it, the insidious forms it takes, the interlocking systems that perpetuate it. I got it that we are all implicated, that no one can escape the systems in which whiteness benefits those who are understood to be white, and devastates those understood to be not white. 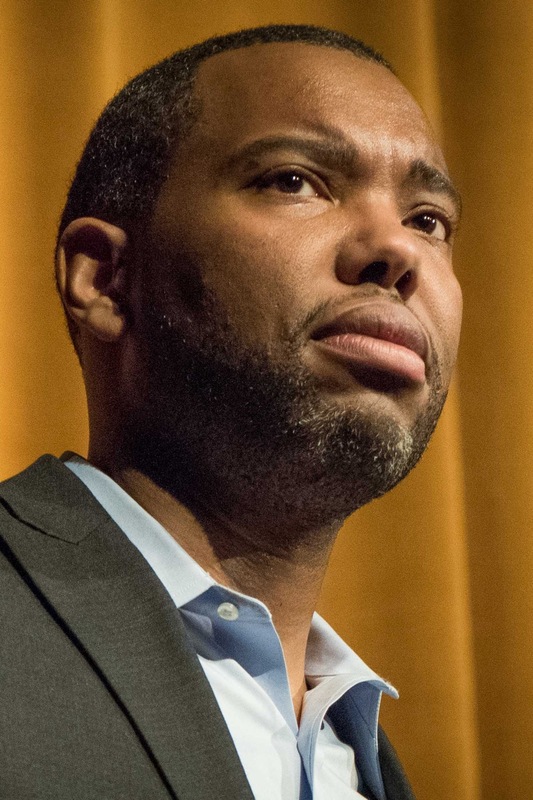 Ta-Nehisi Coates broke open for me a new and deeper layer of the reality of racism–his words, along with the revelations of the #blacklivesmatter movement, which have kept before the public eye the many recent killings of black people by police. Last week, I watched videos of the police officer’s traffic stop of Sandra Bland. Pulled over for failing to signal a lane change, three days later, she was dead in her jail cell. Something about her story–her innocent journey to start a new job, her bright spirit–brought it all home. No black person is safe anywhere. This week, as I passed the flashing lights of a police vehicle behind a pulled-over car, I felt an unfamiliar shudder in my gut. A tiny glimpse into the terror. When I read Coates describing the terror he felt when he was stopped in his car by police, these images and videos came to mind, and I understood his fear for his life, his shaky relief when he was let go. A few months later, his friend was killed by the same police force. The thing is, Coates continues to live with this original and constant fear in his body, just as my body still holds that original feeling of safety, even though I realize its illusory nature. I have to choose to stay awake, to remember. I can take a break, not think about it for a while. It is not easy to stay awake. Mab Segrest talks of choosing white anti-racism as becoming a “Race Traitor.” There is a loneliness in it, a separation from the mainstream American dream, a separation from family and friends. Most often, I feel more resonance with my friends who are people of color, but I will never really belong to that world either. So staying awake is often lonely and sad. I usually don’t have a clue how to create change, or make things any better. But I believe that if we stay asleep we will never find transformation. We have to wake up to reality, bear its pain, before any change can happen. So thank you Ta-Nehisi Coates for being willing to be so open about the reality in which you live, in which we all live. Thursday, Margy and I went to the ancient sites of Knowth and Newgrange. Built by neolithic stone age peoples about 5200 years ago, they were burial mounds and ritual centers, aligned with the sun at certain points of the year. We had heard about Newgrange, where the light from the sun at dawn enters the burial chamber on the Winter Solstice. But we were even more impressed by Knowth, where tourists are not able to go into the burial chambers–too dangerous–but can walk up to the top of the mound. There are huge boulders that surround and support the mound, called curb stones, and most of them are covered in geometric images–spirals, triangles, undulating serpent like forms. We could photograph and touch this art created before the pyramids were built in Egypt. It is a UNESCO world heritage site because of this high concentration of neolithic art. 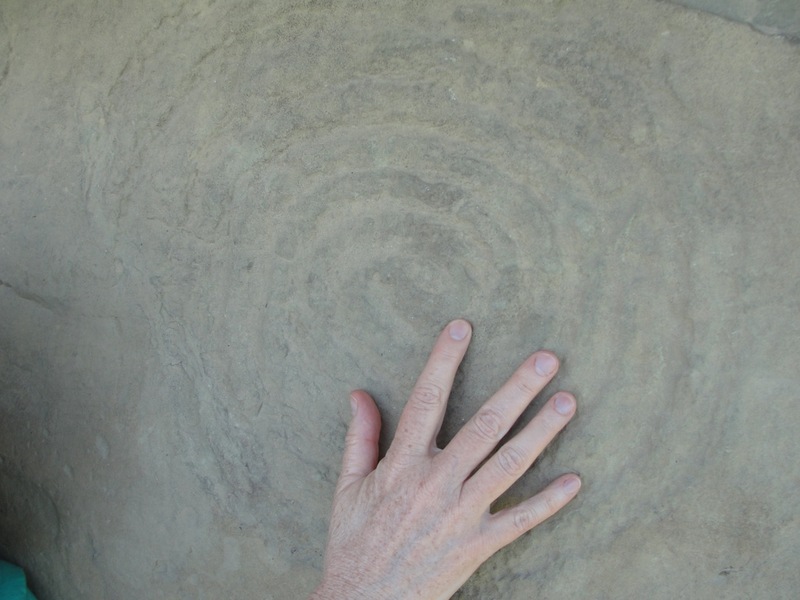 What an astonishing feeling to trace a spiral that was carved so many generations ago by the ancients! Our guide said that similar stone carved art with the same kinds of geometric patterns can be found all around the world–America and Australia, for example. Until fifty years ago or so, all these stones at Knowth were buried under soil–the mounds looked like an extension of the hills. Then, archaeologists began to excavate and discovered the careful construction and design of the burial passages and chambers, were able to carbon date the remains, and restored the mounds to their neolithic era appearance. All of the stones are original, and the guides reminded us of the sacred and beloved nature of the site. After this visit I got to thinking about ancient mounds in the United States. I barely knew anything about them, except that they were built by early indigenous peoples of this land, and that many have been destroyed or are even now being threatened with destruction. Most recently, I heard about a new football stadium being planned in St. Louis that would destroy the remains, now underground, of a burial site and city. Since no federal money is involved, there are no laws demanding that they even do archeological investigation. I wonder why our country doesn’t take care of these precious artifacts from the ancients on this land? In a time when there is international outcry over destruction of ancient sites in Syria, where is the outcry over destruction of ancient sites in America? I suppose it is directly related to our society’s general insistence on forgetting that these lands once belonged to another people. As to the mounds that do still exist, I have read that there was much early resistance to thinking that Native peoples would have the expertise to build such structures. Racism then, must surely underly this disregard, and perhaps the overarching allegiance to the gods of money and profit. And the brokenness of our times, the forgetting that the land is full of sacredness in her essence and in her history.